It’s hard to pick just ONE favorite Disney Princess, let alone a Disney movie! 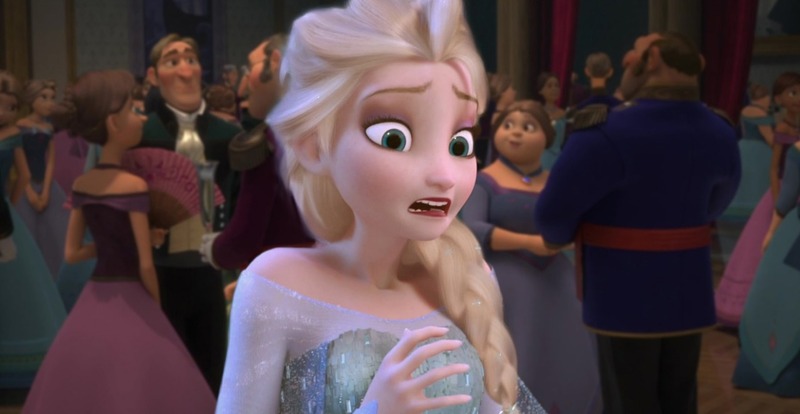 But what if the Disney Princesses (and Queen, ahem, Elsa) starred in each OTHER’S movies? Well, lucky for all of us, the insanely talented artist Dylan Bonner has imagined such a thing for us. And, NO SURPRISE, it’s completely magical, and you just might become as obsessed as we are. Like Ariel adjusting to the whole “shoes” thing as Cinderella. Aurora dropping by Agrabah as Princess Jasmine. Elsa (and Anna) getting frozen under the sea as Ariel. Jasmine proving she’s the fairest one of Agrabah as Snow White. Merida showing who she ~truly~ is inside as Mulan. Cinderella and a pair of LITTLE SHOES for her frog prince as Tiana. Belle as Sleeping Beauty and the Beast. Snow White as Belle and her fair Beast. Tiana doing her thing in Arendelle as Elsa. Mulan feeling especially Brave as Merida. Pocahontas proving she can paint with all the color of the wind, even in a tower, as Rapunzel. And finally, Rapunzel getting an enchanted ‘do as Pocahontas.